One of the great things Microsoft introduced a few years ago was the ability to slipstream service packs on to the install media of SQL 2008 and 2008 R2. It was a bit of a painful experience to do, but the results were great as it made deployment of standardized builds a breeze, and when you also added cumulative updates to the mix it became ridiculously easy to ensure every new SQL instance was at the right revision of the product. 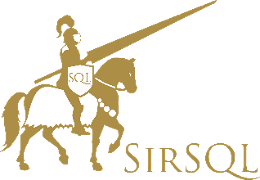 Slipstreaming has gone by the wayside with SQL Server 2012. Now, instead of extracting the service pack and doing a bunch of file work you just have to stick the service pack into a folder and add the PCUSOURCE information in your default configuration.ini file. I used those steps for creating slipstreamed versions of SQL 2008 R2 with Service Pack1 and SQL 2008 R2 with Service Pack 2. I’ve been using the slipstream of service pack 1 for quite a while now and have never encountered an issue. When SQL Server 2008 R2 Service Pack 2 came out a little while ago I worked to get it deployed on my preprod and production machines, then decided a couple of weeks ago that it was time to slipstream my installation media so that this would not need to happen for future deployments. We have a lot of QA and test deployments of SQL Server coming up, so I felt it a good use of my time. I followed Peter’s steps and built myself some new installation media that included service pack 2. Being the good DBA that I am I got a couple of virtual machine spun up so that I could perform some installation testing. I wanted to be sure that all the components were installed at the relevant levels and that my configuration files did not need any tweaking. The install of just SQL Server 2008 R2 w/SP2 along with replication, full-text search and the client tools went fine. There were no problems with the install and all of the components were at the service pack 2 level when I checked. This being good I moved on to an install that included Reporting Services. This is where I started encountering problems. All of the pre-installation steps went without a hitch, and the components seemed to install without any problems, but then it attempted to start the Reporting Services service, at which point things went sideways. Strangely it appears as though Reporting Services is running at the RTM level, and this causes a problem as everything else is at the service pack 2 revision. I wondered if I had done something wrong, so I tried to slipstream the service pack again, just in case I missed something. I got the same result. Then I tried putting it over the top of service pack 1 slipstreamed media, but was met with the same result. No matter what I tried I could not get it to work. Even worse, I could not apply service pack 2 to the failed Reporting Services installation in an attempt to bring it online. At this point I decided it must be a bug and gave up. After multiple attempts with different media on different servers and under different conditions I was no closer to getting Reporting Services installed. Not being able to figure out a way to get it on there (short of deploying media with service pack 1 and then updating it to service pack 2) I decided to use Microsoft Connect to file it as a bug. Connect ID 771260 is open for this. I fully expect it not to get fixed, as there are only a couple of years left on the support lifecycle, but it’s important that these things are at least brought to the attention of the product team. If you slipstream your SQL installs and have encountered this issue please go and upvote the connect item (and say that you can reproduce it). If you slipstream and have not come across this please let me know.